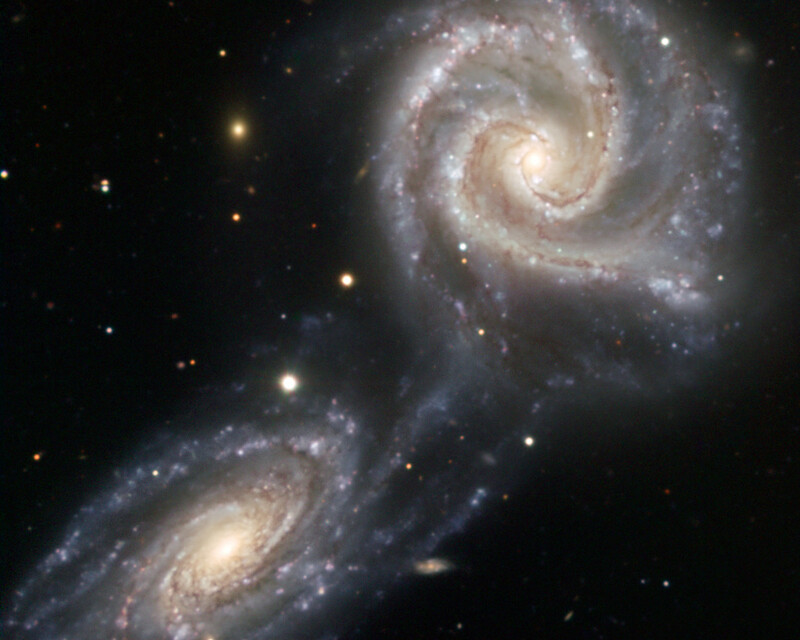 NGC 5426 and NGC 5427 are two spiral galaxies of similar sizes engaged in a dramatic dance. 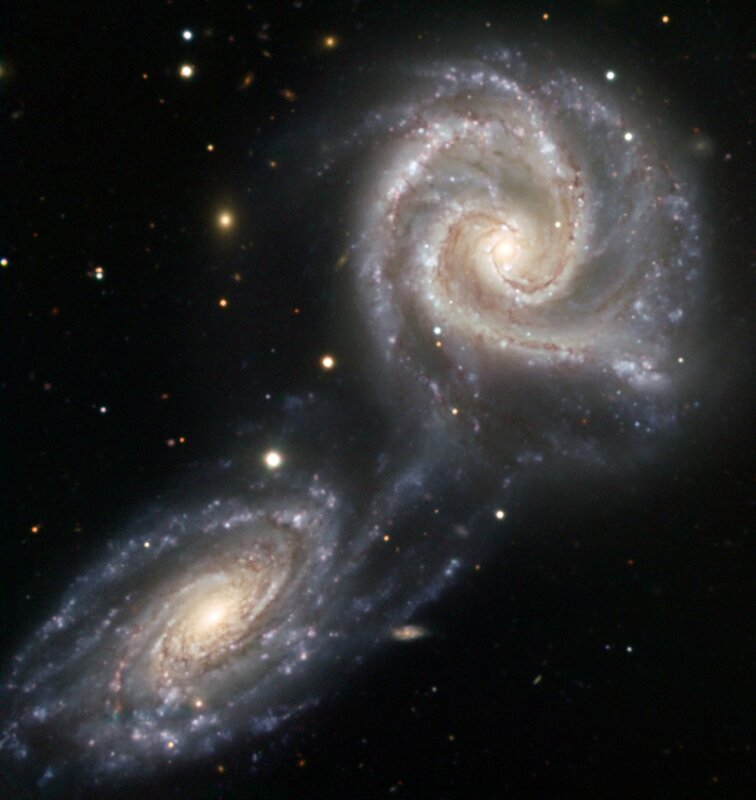 It is not certain that this interaction will end in a collision and ultimately a merging of the two galaxies, although the galaxies have already been affected. 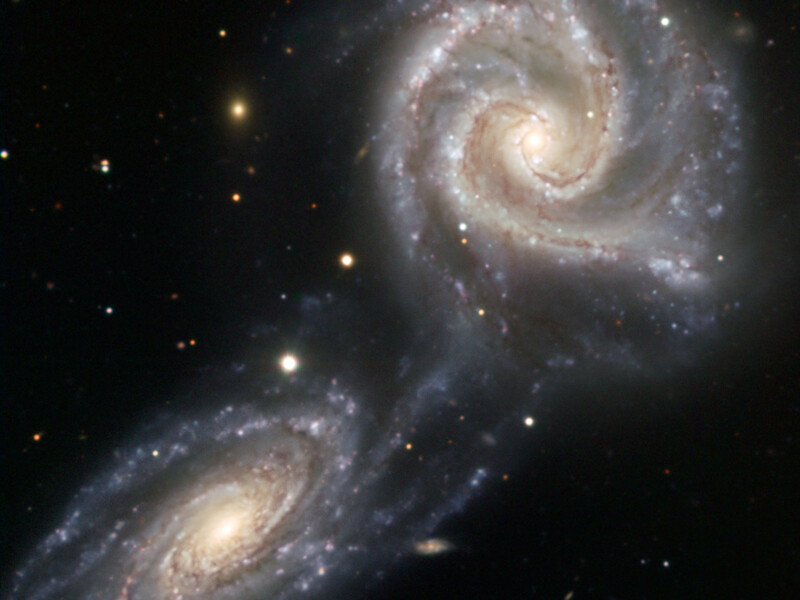 Together known as Arp 271, this dance will last for tens of millions of years, creating new stars as a result of the mutual gravitational attraction between the galaxies, a pull seen in the bridge of stars already connecting the two. Located 90 million light-years away towards the constellation of Virgo (the Virgin), the Arp 271 pair is about 130 000 light-years across. 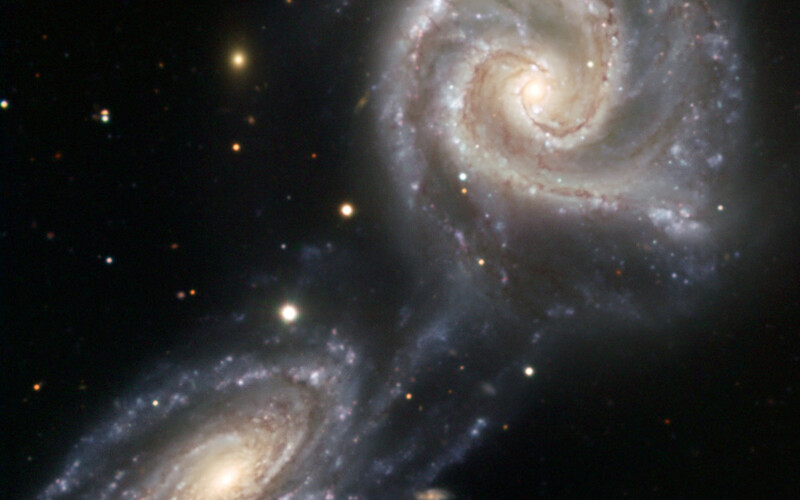 It was originally discovered in 1785 by William Herschel. Quite possibly, our own Milky Way will undergo a similar collision in about five billion years with the neighbouring Andromeda galaxy, which is now located about 2.6 million light-years away from the Milky Way. This image was taken with the EFOSC instrument, attached to the 3.58-metre New Technology Telescope at ESO's La Silla Observatory in Chile. The data were acquired through three different filters (B, V, and R) for a total exposure time of 4440 seconds. The field of view is about 4 arcminutes. Position (Dec): -6° 2' 45.54"